Probably no motif is more ubiquitous in the Neo-Pagan culture than that of the Triple Goddess in her threefold aspects: Maiden, Mother, and Crone. While there are some historical antecedents for the Neo-Pagan Triple Goddess, she is really a 20th century creation of the author and poet, Robert Graves. 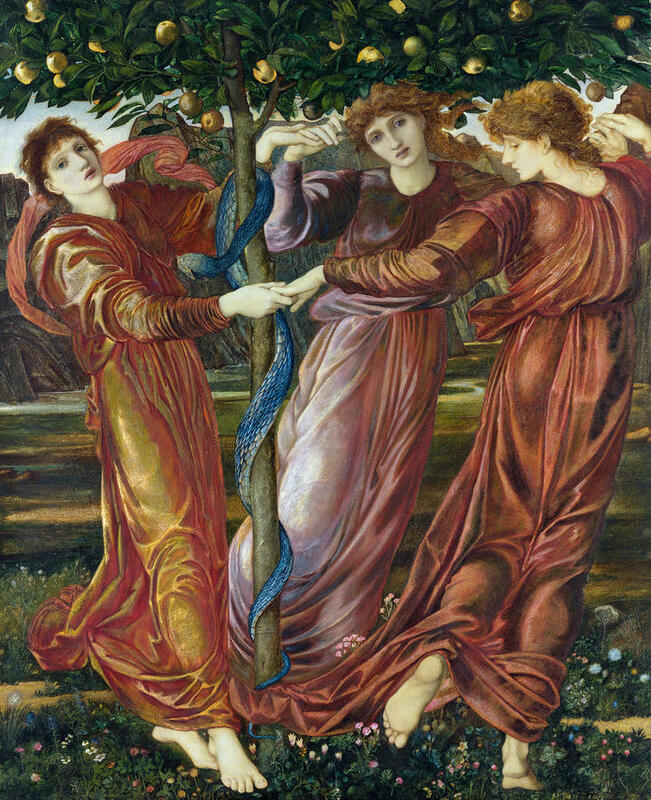 Graves’ conception of the Triple Goddess evolved over several years. One of the earlier incarnations, in his book The Golden Fleece, took the form of “Maiden, Nymph, and Mother” which corresponded to the “New Moon, Full Moon, and Old Moon”. (“Nymph” is the Greek word for bride.) Absent from this description of the Triple Goddess was the dark “phase” of the Goddess, the “Crone”. In his next book, King Jesus Graves described her as the triform goddess of birth, love, and death, and associated her with the figures of mother, consort, and witch. 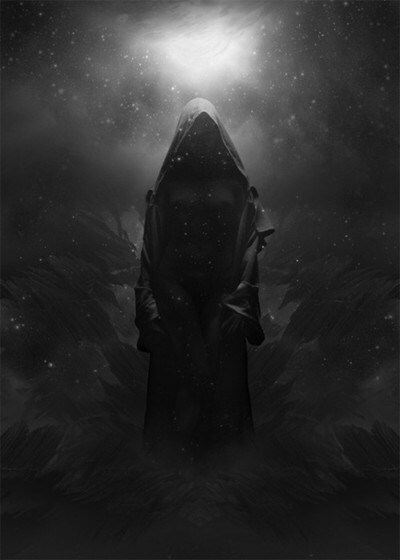 And Graves did not even limit himself to the three aspects, but described a Quintuple Goddess, whose stations were: “Birth, Initiation, Consummation, Repose and Death”. While the Maiden-Mother-Crone trinity ultimately became the most popular form of the Triple Goddess among Neo-Pagans, it was actually the Mother-Bride-Layer-out which primarily concerned Graves in The White Goddess. This is the version of the Triple Goddess as seen from the perspective of her male counterpart. The trinity begins with the Mother, because that is how men first encounter women. More than the Triple Goddess herself, Graves was concerned with the interaction of the Triple Goddess with her male counterpart. For each of the aspects of the Triple Goddess, there is a corresponding aspect of the man or the god who is her son (corresponding to Mother), lover/consort (corresponding to Nymph/Bride), and victim/sacrifice (corresponding to Crone/Layer-out). As Mother, the Goddess gives birth to the god of the year. As Bride, the Goddess takes the god as her lover, and in her womb he sows the seeds of his own rebirth. As “Layer-out” or Slayer, the Goddess inspires the god’s twin-rival to slay him, his death becoming a sacrifice to the goddess, a sacrifice which fertilizes the earth and makes possible his subsequent rebirth. The image of the Triple Goddess was seized upon by feminist Neo-Pagans and Witches in the 1970’s as a new vision of femininity. The Goddess in her multiple forms was seen as a revaluation of aspects of femininity which have been denigrated historically, including menstruation (Maiden), childbirth (Mother), sexuality (Lover/Bride), and menopause (Crone). 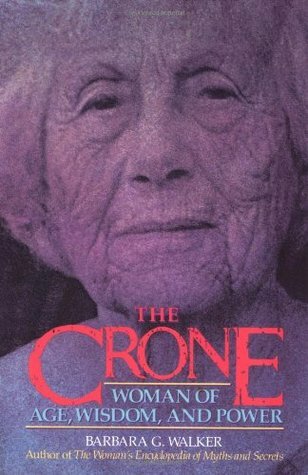 Most significant was the feminist reclamation of the word “Crone” to mean a wise woman. There is a certain irony in this, since Graves’ vision of the Triple Goddess was at all not feminist, but androcentric and even somewhat misogynistic. 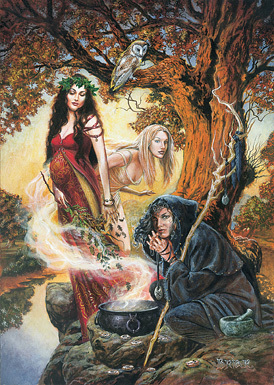 The Maiden-Mother-Crone trinity later came under attack by feminists who criticized its over-emphasis on women’s fertility and sexual desirability to men. They pointed out that not all women become (or even want to become) mothers. In addition, there are feminine archetypes which are not encompassed in the Maiden-Mother-Crone trinity, like the Amazon or the Priestess. 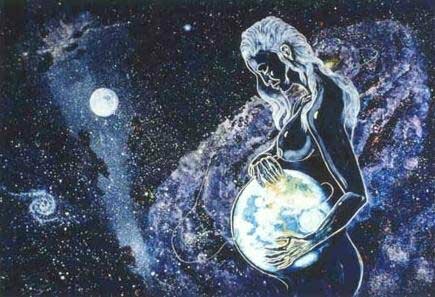 And women may manifest different “aspects” of the Goddess at any point in lives, and that aspect may or may not correspond to their chronological age or the state of their wombs. Many Neo-Pagans have a tendency to focus on the triplicate nature of the Triple Goddess. But, if the Goddess is Nature, then it is not the number of her aspects that is most significant. She may have four or five aspects, as Robert Graves suggested, or even more. What is unique about the Triple Goddess then is the relationship among her aspects. That relationship suggests movement among the different aspects, specifically, a cycle that returns upon itself. The significance of the Triple Goddess then is to be found, not the specific aspects of Maiden-Mother-Crone, or even the number three, but in the perpetual cyclical movement among the aspects, whatever their number and however they are named. In this view, the Triple Goddess is not a role model for women. Rather, she represents Nature. And the relationship between the Triple Goddess and us reflects our relationship with Nature. To us, she is Mother, Lover, and ultimately, Slayer. We are her children, all of us, male and female. And we are, all of us, also her lovers and victims. Nor are we separate from Nature even now. In that sense, we are still in the womb of the Goddess. 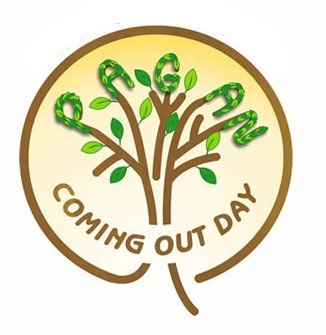 “While our collective humanity has lost sight of the ways of the green world, pagans hunger to touch and be touched by the powers and splendor of nature. 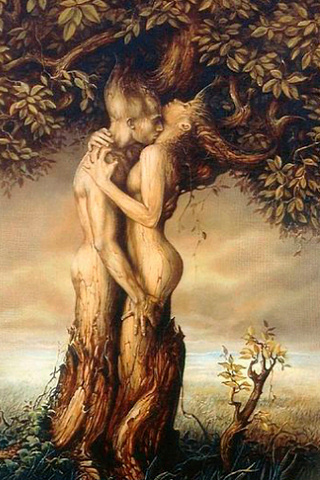 And in this sensual, embodied exchange, we awaken to the living world. “Hang out in your favorite green space with your senses on high. Attune to your exchange of breath with the trees: their green breath of oxygen with your red breath of carbon dioxide. Open your flat palms toward whatever wild thing catches your fancy and sense the tingling meeting of your energies. Peer into the microcosm of a rotting log, with its teeming collective of interdependent inhabitants. In spite of the patriarchal and dominating language in this quote, I still like the imagery of striving, searching, playing, dancing, and wooing to express our relationship with Nature. This cosmic vision of the Triple Goddess avoids the sexism that results from treating the aspects of the Goddess as role models for women, at the same time it offers insight into the mystery of the relationship between ourselves — whatever our gender — and Nature. 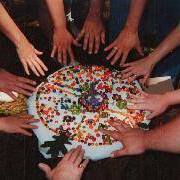 John Halstead is a former Mormon, now Jungian Neo-Pagan with interests in ecology, theology, and ritual. He also blogs about Jungian Neo-Paganism at Dreaming the Myth Onward, which is hosted by Witches & Pagans, and is an occasional contributor to Gods & Radicals and The Huffington Post. He is also the administrator of the site Neo-Paganism.com. I think you’re suggesting a kind of process theology, and I like it. Have you read Carol Christ’s She Who Changes? Yep! I love her writing. And process theology has been an important influence on my ideas. I notice you don’t cite the term “Slayer” as coming from Graves. Is this your own formulation then? Yes, it’s my term. It expresses what Graves had in mind, but is less pejorative than “Hag” and less confusing than “Layer-out”.